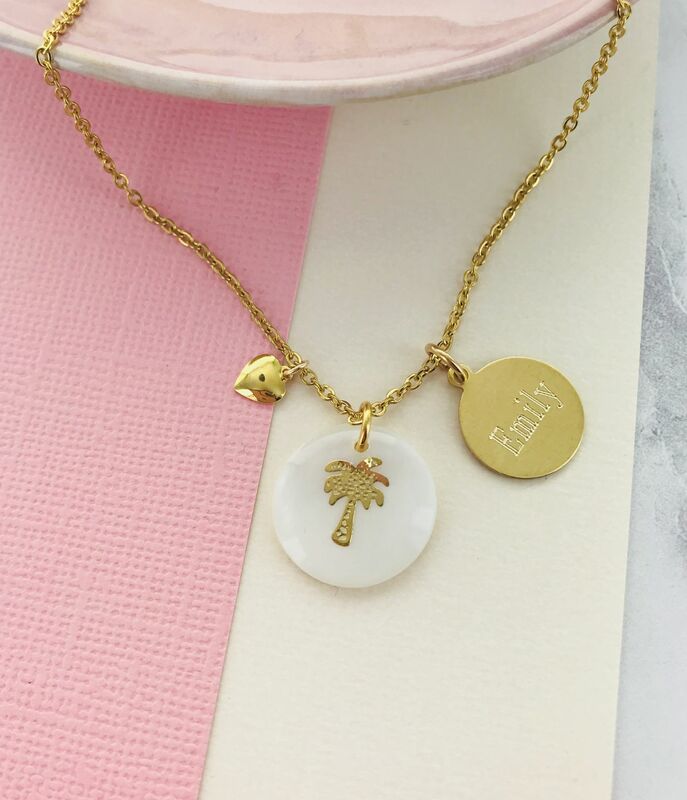 A beautiful triple charm necklace with a freshwater shell Palm Tree charm, heart and personalised with your name of your choice. 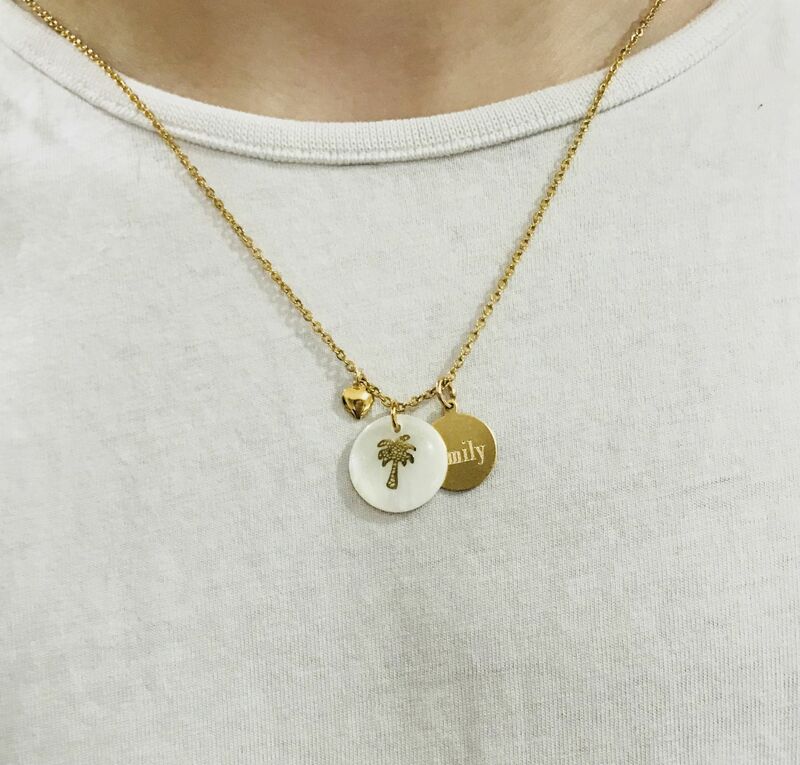 A beautiful triple charm necklace with a freshwater shell and gold palm tree charm, heart and personalised with your name. The triple palm tree charm necklace would make the perfect gift for an anniversary, christening or bridesmaid gift. Each necklace is personalised with the name of your choice to mark the occasion in a really special way. 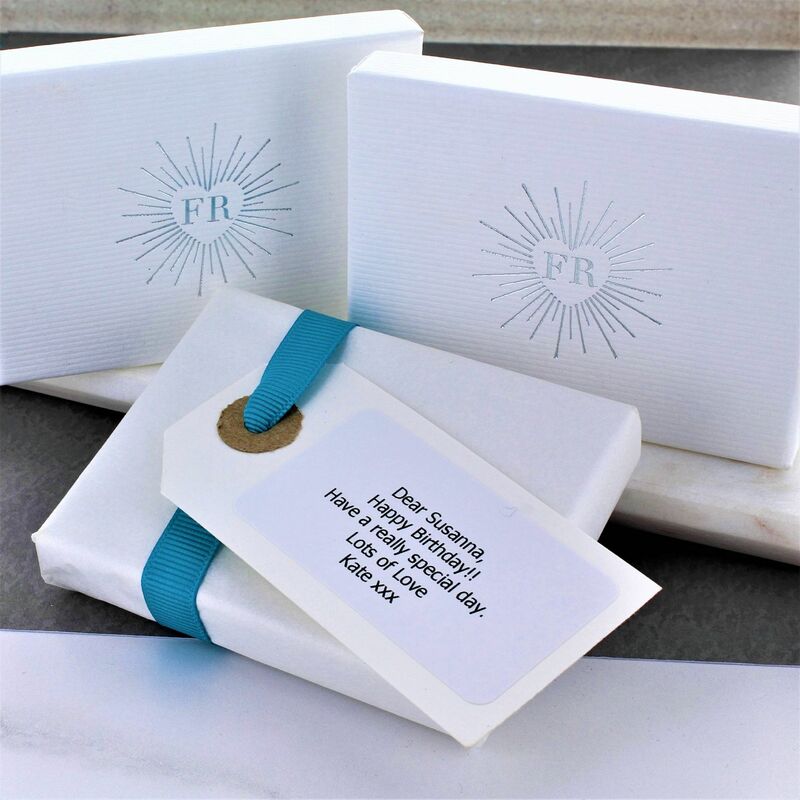 Each necklace arrives in a striking white gift box with a free gift wrapping service is also available upon request.